SID will be holding its fifth Corporate Governance Roundup event in the morning of Tuesday, 20 November 2018. The event is organised to tie in with the SID Annual General Meeting. 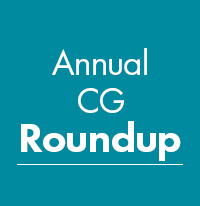 The Corporate Governance Roundup seeks to provide a quick refresher on the year’s happenings on corporate governance and directorship matters and what to look out for in 2019. In addition, the event provides an opportunity for attendees to network with their fellow directors in a convivial atmosphere. The following ten key topics of the year will be covered by SID Council members who are leading practitioners, directors and experts in the corporate governance. The venue for the event is sponsored by Far East Organisation. All attendees will receive a complimentary book.